A lowered car not only has more curb appeal but, when done properly, can have a significant handling advantage as well. What most people don't realize is that just installing a set of lowering springs without addressing other components can actually have a detrimental effect on handling, acceleration traction, and ride quality. 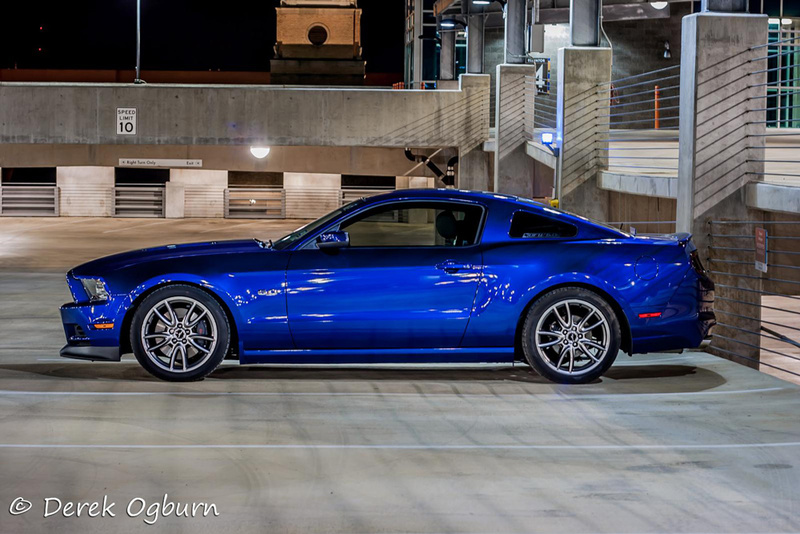 BMR's Lowering Package for the 2005 and newer Mustang chassis comes complete with everything you need to not only correct these issues but to enhance handling as well. A lowered car not only has more curb appeal but, when done properly, can have a significant handling advantage as well. What most people don't realize is that just installing a set of lowering springs without addressing other components can actually have a detrimental effect on handling, acceleration traction, and ride quality. 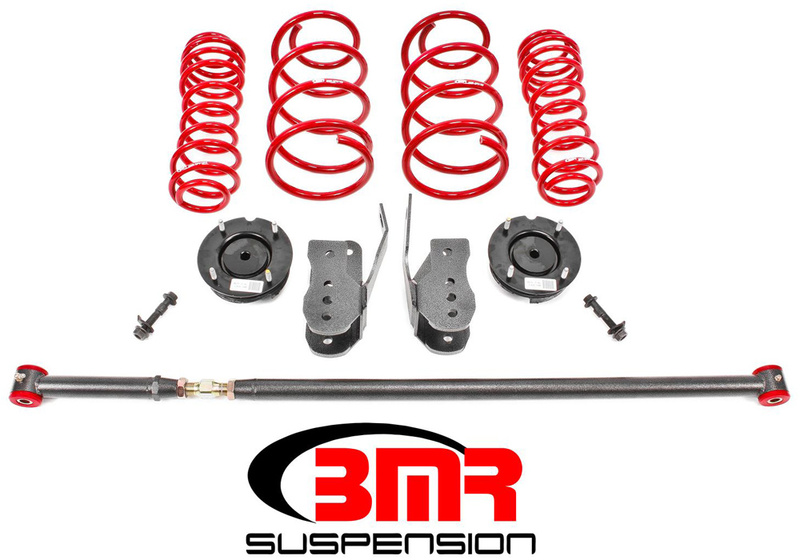 BMR's Lowering Package for the 2005-14 Mustang chassis comes complete with everything you need to not only correct these issues but to enhance handling as well. Lowering springs - BMR lowering springs are cold wound from high tensile strength chrome-silicon-vanadium to provide the longest lasting, most consistent rate possible. Specifically engineered around OE specs to maintain OE ride quality. Adjustable Panhard Rod - Since the S197 Mustang is equipped with a panhard rod to locate the rear end in the chassis, altering ride height can shift the rearend to the drivers' side up to 3/8". This not only effects alignment but can create tire clearance issues as well. To properly re-center the rearend, an adjustable panhard rod is necessary. Equipped with grease fluted high durometer polyurethane bushings. Control Arm Relocation Brackets - Lowering a Mustang changes the rear control arm angles, altering the vehicles "instant center" location. This instant center is the virtual lift point of the suspension and is responsible for initiating weight transfer upon acceleration. Relocating the control arm mounts on the rearend re-gains and improves upon the original geometry. Front Camber bolts - The OE strut has no provisions for camber adjustment yet lowering the car even 1" creates too much negative camber for daily driving. The result is accelerated tire wear. BMR's camber bolts provide up to 2 degrees of camber correction. Upper Strut Mounts - Unlike most strut-equipped vehicles, your S197 Mustang comes with throw-away plastic upper strut mounts that are only good for one-time assembly. Fords service manuals specify replacing this part anytime the strut/spring assembly is disassembled. Re-use of original strut mounts often result in a "popping" sound heard while turning. This is the result of lost bearings due to the strut mounts weak plastic carrier. When performance and looks are a must, rely on BMR Suspension! All of the great upgrades included in this package are proudly made in the U.S.A. 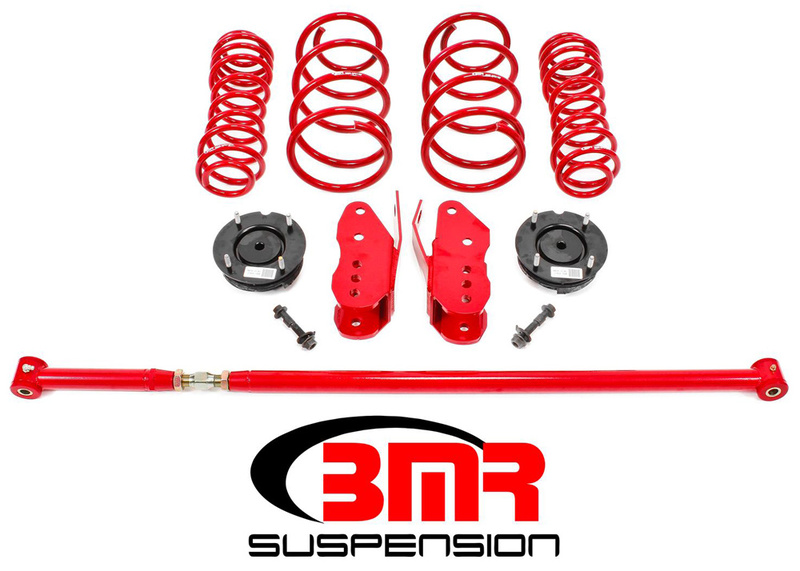 This BMR Suspension upgrade package is available in your choice of red powdercoat or black hammertone finish.